If it is a truism that after a war the victor writes the history, then it could be argued that the victor also chooses the language in which the history will be written. If it is a war of the coloniser against the colonised then the language takes on a special significance as typically the coloniser imposes their language on the colonised. However, post-revolutionary, post-colonial situations are complex and reversal of cultural norms a difficult process. The African writer Chinua Achebe wrote about the problems of communication in post-colonial African countries asserting that African writers wrote in English and French because they are “by-products” of the revolutionary processes that led to new nations-states and not just taking advantage of the global French and English language book markets. This then leads to a difficult situation with competing groups, some using the native languages for the first time on a state level competing with the remnants of the old order who may only be able to speak the language of the former coloniser. As new nation states, post-revolution, usually have more pressing practical problems that need to be dealt with, and in a language the majority can understand, the cultural aspects tend to be put on the back boiler until some time in the future when they may even be forgotten about entirely. Yet, the regularity with which language issues crop up around the world today is significant and points to a sharpening of political tensions. As inter-élite competition increases, language becomes a battleground upon which political power is augmented or maintained. The Italian political theorist Antonio Gramsci identified the problem very clearly when he noted that the rise in language issues meant that something more serious was bubbling below the surface. He believed that the makeup and widening of the governing class and their need to have popular support led to a change in the cultural hegemony in society. This usually happens when different ethnic or language groups in society become dissatisfied with the services and benefits the state bestows on them and assert a new identity based on language and ethnic history. In most post-colonial situations language issues centre around struggle over which languages will be taught in schools, the language used in parliament and national media, and even placenames and personal names. In a recent article by Aatish Taseer, he writes about the changing politics of India where placenames have become sites of contention. He notes the fact that there are many competing ideas of history and even “names reflect that very basic need of having the world see you as you see yourself.” He believes that a former self-confidence in India has given way to a new oversensitivity and a desire to control India’s image. Taseer sees the source of this oversensitivity as the strengthening of Hindu nationalism which has undergone changes in recent years. In the past people referred to Varanasi by its multiple names including its Muslim-era name Banaras and its ancient Sanskrit name, Kashi. The rise of Hindu nationalism has politicized culture and, according to Taseer, the ruling Bharatiya Janata Party has been built on a weaponized idea of history. Ignoring Muslim sensitivities as a minority ethnic group in India, the B.J.P. president, Amit Shah, described the Muslim period as part of a thousand-year history of slavery in Goa last year. This monolithic view of Muslims and Muslim culture only serves to stereotype and demonise Muslims and imply that a minority group is oppressing a majority rather than the other way around. The maintenance of power by a linguistic and/or political majority by imposition of its beliefs and linguistic norms on a minority has a long history in Ireland since the formation of the Irish Free State in 1922. While initially the conservative nationalist forces which won the civil war after British withdrawal (except for the northern 6 counties) brought in some measures for the protection and promulgation of the Irish language (Gaelic), the project declined and soon became associated with the radical nationalist ideology of the defeated forces instead. The weakness of the current situation for Gaelic can be illustrated with an example of a conservative backlash which played out in Dingle in 2011, a popular small town in the southwest of Ireland. The difficulties and complexities of name change could be seen in the decision to officially rename the town ‘An Daingean’, its original Gaelic name. As placenames in Ireland are in English (Anglicised versions of Gaelic names) and Gaelic, they can become focal points for cultural conflict as Gaelic speakers try to move away from historical colonial influence. The local people fought back and after six years the President at the time, Mary McAleese, reinstated the town’s name back to the Anglicised version ‘Dingle’. Many of the local people saw the Anglicised name as a tourism brand and feared a loss of business through tourist confusion with its Gaelic name. These negative overtones towards Arabic and Berber have parallels in Ireland that Gaelic speakers will recognise from Irish history. In the late nineteenth century, the increased support for Gaelic provoked reaction from various quarters particularly in the academic field. T. W. Rolleston, speaking at the Press Club in 1896 described the language as unfit for thought or consideration by educated people. Supporters of Irish and other aspects of Gaelic culture were seen as parochial traditionalists looking backward and trying to hold back the tide of history. The dubbing of Gaelic speakers as ‘parochial traditionalists’ is still used to swipe at people who assert their linguistic rights [Gaelic is the first official language of Ireland alongside English], won through many decades of political and cultural struggle with the state. The association of Gaelic with radical nationalism has always been a thorn in the side of conservative Anglophiles in Ireland. 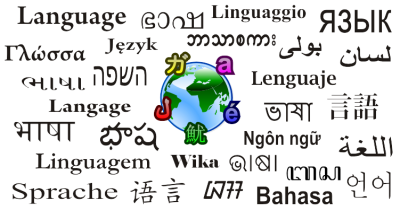 Linguistic issues around the world are shaped, as in Ireland, by problems such as negative attitudes, the difficulties of learning new, or old, languages, and élite control of the state and the education system. As Gramsci notes, when cultural conflicts arise we can be sure that something more serious is happening entailing a closer look at local ideologies of inter-élite and class struggles. In Ireland, the fortunes of the Gaelic language rose and fell according to the cultural and ideological needs of the ruling class. The language movements were harnessed when considered a political threat and dismissed when weak. This can be seen globally where the role of language can be positive or negative depending on the politics of the groups involved. Language is not inherently progressive or reactionary but acts as a carrier of culture as well as a means of communication. Openness towards diverse and different languages and cultures in society implies openness and tolerance towards different groups and a guard against monolithic simplification and racist provocation. When language issues arise they can also demonstrate that for minority groups, the survival of their language depends just as much on social and economic issues (emigration, unemployment, poverty) as the rights it is accorded by the state. In Ireland, the refusal to accord linguistic rights by British colonialism to Gaelic speakers played an important part in the move of cultural nationalists to political nationalism and the subsequent War of Independence. Colonisers and conservative dominant élites both learned that their own ‘parochial traditionalism’ could be the author of their downfall in the play of history. Caoimhghin Ó Croidheáin is an Irish artist, lecturer and writer. His artwork consists of paintings based on contemporary geopolitical themes as well as Irish history and cityscapes of Dublin. (http://gaelart.net/). His blog of critical writing based on cinema, art and politics along with research on a database of Realist and Social Realist art from around the world can be viewed country by country at http://gaelart.blogspot.ie/. 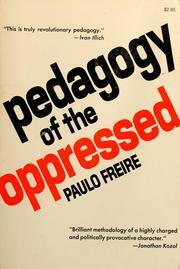 Paulo Friere, Pedagogy of the Oppressed (London: Penguin, 1990) 122. Ali A. Mazrui, The Political Sociology of the English Language: An African Perspective (The Hague: Mouton, 1975) 218. Antonio Gramsci, Selections From Cultural Writings. Eds. David Forgacs and Geoffrey Nowell-Smith, trans. William Boelhower (Lawrence and Wishart, London, 1985) 183-184. Featured image is from M. Adiputra (CC BY-SA 3.0).